Everett has a cow, 304. He loves 304. One of my favorite things is to watch Everett and 304. They have a very special bond. She is not, by dairy judging standards a high scoring cow but what she lacks in looks she makes up in trusting Everett and Everett trusting her. She will follow him around anywhere he wants to go. When she was a calf and we were halter breaking her, she would not lead for Nate and I. Everett would barely touch the lead rope and she would follow him anywhere. 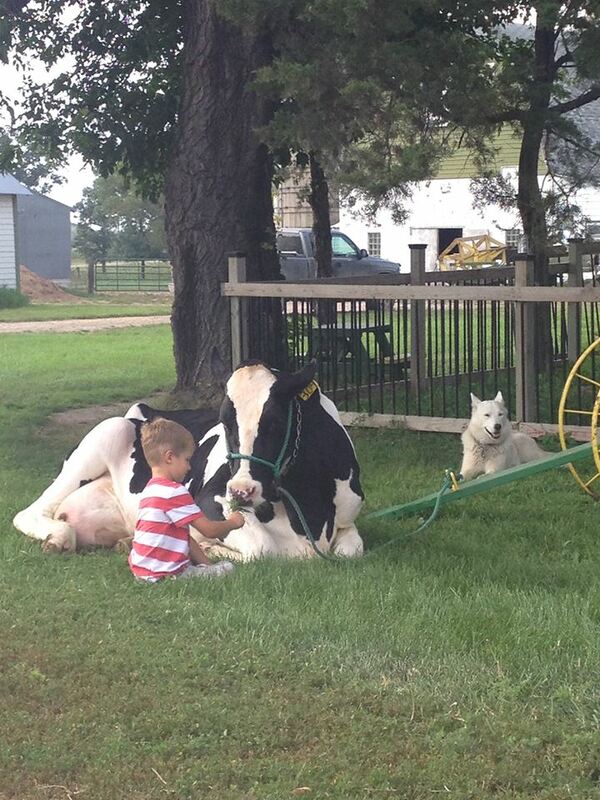 She is the best cow to teach Everett showmanship and skills that will always help him succeed in life. 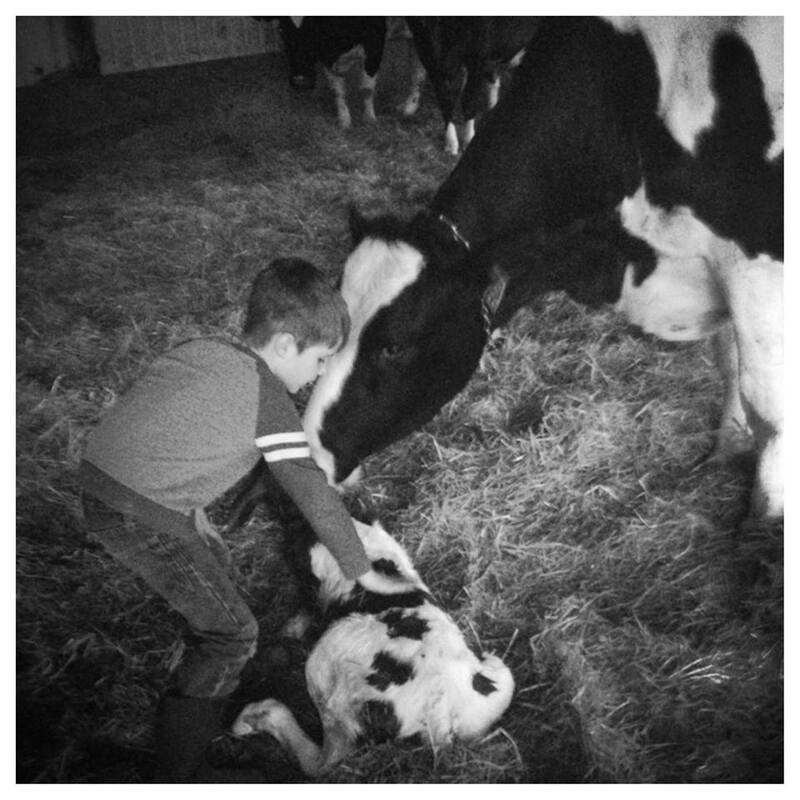 Last night we were getting ready to go outside for evening chores when Nate called my cell phone, “Tell Everett to get out to the calving shed right away!” I yell from the laundry room, “Everett! Dad said to get outside to the calving shed right away!” Everett’s response, “Do I have to change?” No you can wear what you have on but make sure you put on your rubber boots. Everett ran out to the calving shed. I wondered what was the big hurry. Maybe one of the cows had twins? Vivian and I followed with the stroller. “Mom! 304 is having a baby!! I hope it is a girl so then I can take her to the fair!” Everett said with excitement. 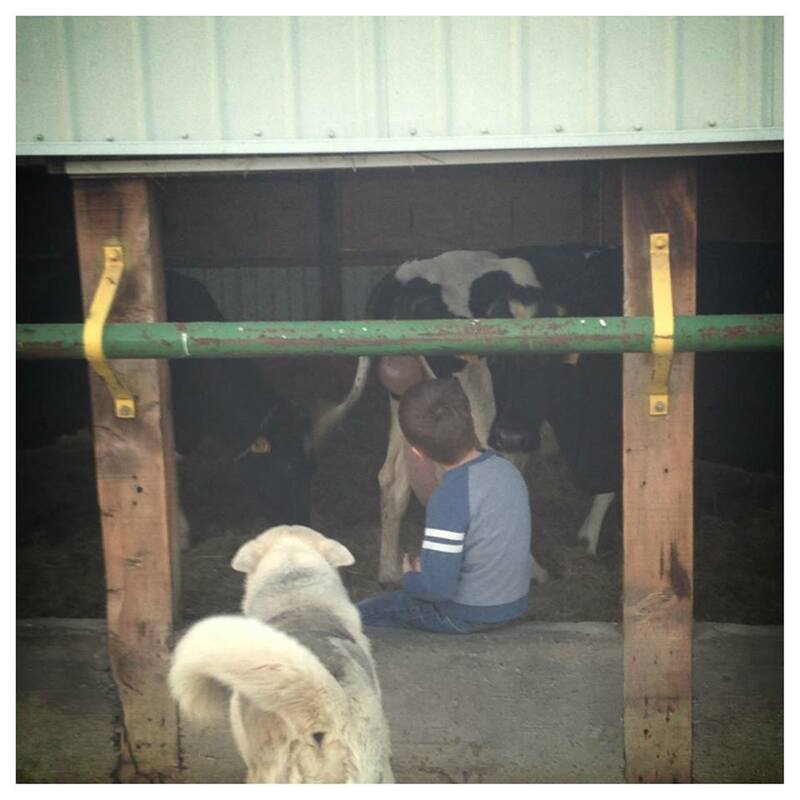 Nate, Vivian and I went to the barn to start evening milking while Everett stayed with 304 and waited…….. As Nate and I were in the barn he suggested that Everett should have a chair outside because it might be awhile. I went out to check on Everett and 304. As I walked out of the milking barn I could see Everett standing guard over 304. He would shoo other dry cows away from her to give her space. As I got closer I stopped, Everett loves 304 so much and she loves him. When I got to Everett he told me to be quiet and he began to whisper to me. 304 moved around, then she laid down. I waited for a little bit. Then it was happening, her water broke. It is getting closer. “You can do it 304!” Everett would say to his favorite animal. “Come on girl, you can do it.” He repeated. Everett loves her. We waited….. She began to push and Everett would again give her encouragement. “It is going to be a red one, I hope it is a girl!” Everett was so excited. Out the calf came, I jumped in pulled the calf to 304’s head and she began licking the calf off. We were so excited we forgot to look right away what the calf was….It’s a boy! Ah man. It’s even a red one. This is 304’s second calf, both have been red and both have been bulls. It’s so wonderful to have a little boy with so much love and gratitude for what he has. He loves 304 so much! Such a wonderful memory for your family and especially Everett!! Can’t wait to meet his new calf!! Jodi~ He was so excited! Wonderful way to teach your children! And such a nice way to share his love with his animal. How are you getting Red out of Black Holstein? She was bred to a red Holstein bull and hope for a red calf.